This is a note for genealogists who have encountered references in the censuses and parish records to Griffith's Buildings, Salford. Griffith's Buildings are a series of side streets, which ran off Regent Street. Regent Street ran roughly parallel to Regent Road, and was situated between Oldfield Road and Ordsall Lane. Griffith's buildings are numbered sequentially No.1 to No. 5. 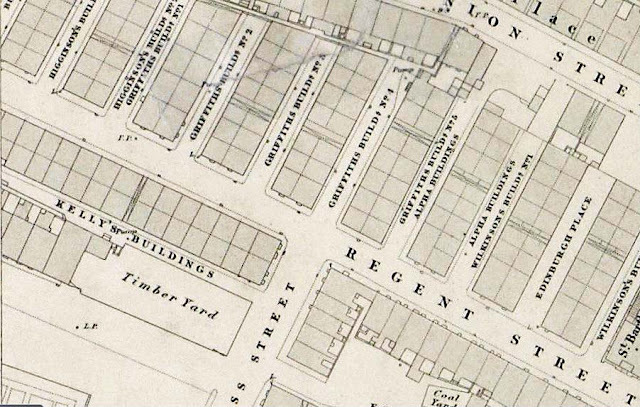 The buildings had been erected sometime before 1828, and are mentioned in Pigot & Son's Directory (p.15). They were occupied at least as late as the First World War. Wilkinson's Buildings are also located off Regent Street, forming two blocks adjacent to Edinburgh Place, next to St. Bartholomew's Church School. Thanks a lot for this. I've also googled Howarth's Buildings and Wilkinson's Buildings and got nowhere. Do you know anything about them? For Wilkinson's Buildings, see above. Howarth's Buildings is trickier. 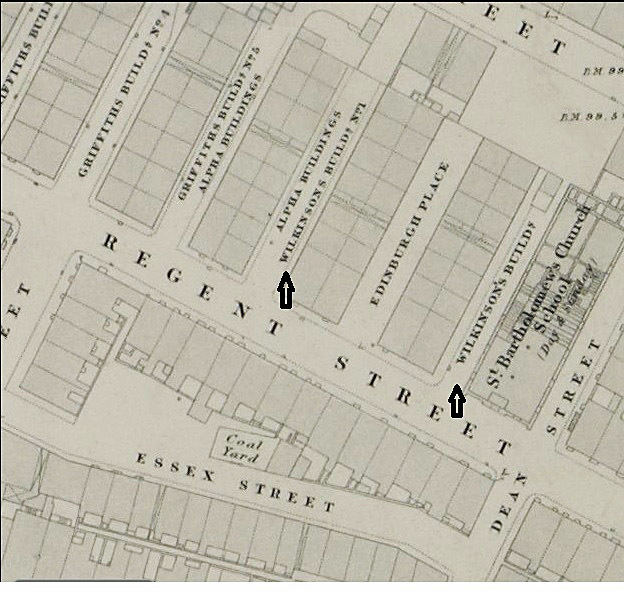 There is a Howarth's Buildings located off Regent St. in the same area as above (references indicate circa 1876-1917). 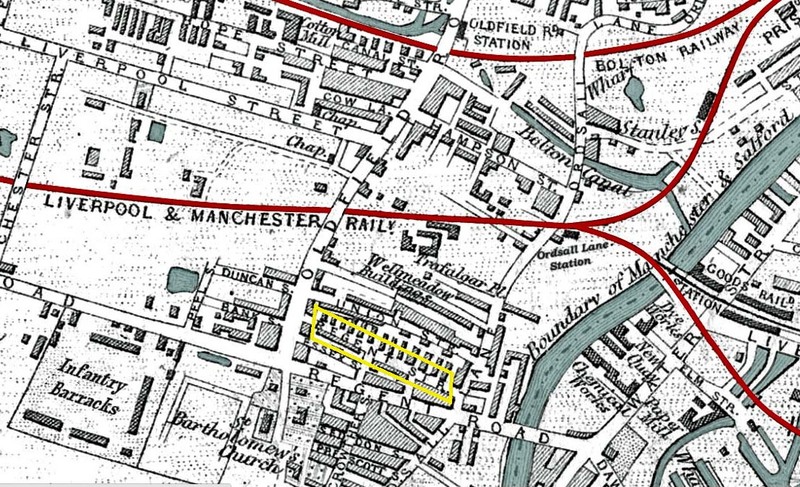 There is also a Howarth's Buildings off Crooked Lane (presumably somewhere in Greengate) in 1828. Ah yes, I was so interested in Griffith's Building I didn't notice you'd also mentioned Wilkinson's. As for Howarth's, I'd be surprised if it weren't the Regent Rd ones I'm after. Thanks again for this useful information.